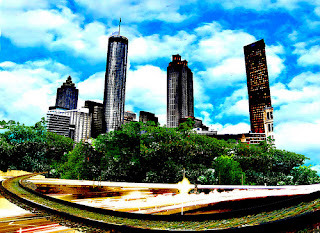 Food Wishes Video Recipes: Heading to Atlanta for the 1st Annual Atlanta Food & Wine Festival! 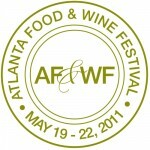 Heading to Atlanta for the 1st Annual Atlanta Food & Wine Festival! I'll be grabbing a red-eye tonight out of San Francisco for my maiden voyage to Atlanta for the 1st Annual Atlanta Food & Wine Festival. I'll be in Atlanta until Monday covering this event, which is being billed as a celebration of authentic Southern cuisine, wine and spirits. You know I'm a sucker for a good food and wine festival, especially one with chefs like Chris Lilly, John Besh, and Tim Love involved. The organizers are patterning the event after the Food & Wine Classic in Aspen, which is the benchmark for these types of gatherings. Here's what event organizer, Dominique Love had to say, "We're planning an experience like no other that will unite leaders of their craft - barbecue pit masters, award-winning chefs and mixologists, Master Sommeliers, fry cooks and local growers - to provide Festival guests the opportunity to sip, savor and learn about the best of Southern food and beverage traditions." Sounds good to me. I do have a new, recently filmed breakfast video almost ready, so stay tuned for that, and as usual, I welcome you to follow along with all the fun on my Foodwishes Twitter account. Enjoy! Have a great trip, take lots of pictures, and bring back some Southern style recipe ideas to video-share with us. Hope the weather is nice while you are there and that you have a wonderful visit! Dear Chef John. Please give John Besh a huge kiss from me. Right on Chef John! Lookin forward to the coverage.